Fleishman-Hillard's London office has been appointed to support the launch of Barnes & Noble's Nook e-reader and tablet devices in the UK. The brief extends the agency’s remit with the US bookstore, which works with Fleishman-Hillard’s New York office to promote the devices in the US. Activity will focus on technology and consumer media relations for the Nook Simple Touch and Nook Simple Touch GlowLight, which are competitors to e-readers such as the Kindle and Kobo. 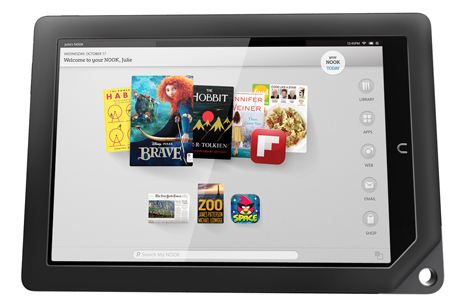 Fleishman-Hillard will also be involved in the Nook HD and Nook HD+, B, which will be available in UK stores in November. The seven and nine inch tablet devices are similar to the Kindle Fire and iPad Mini that Apple announced on Tuesday.